There is so much good about where we live and so much more to explore. Sometimes we find ourselves in places, either because of planning, or, because of happenstance. And just maybe, the serendipitous happens. I have a plethora of tea related things I want to talk about, but I have called an audible. And I’m happy with my decision. I always love driving toAnnapolis. It’s a place I don’t visit enough. And because of that, places, foods, and things all seem fresh to me. And I keep discovering new things! 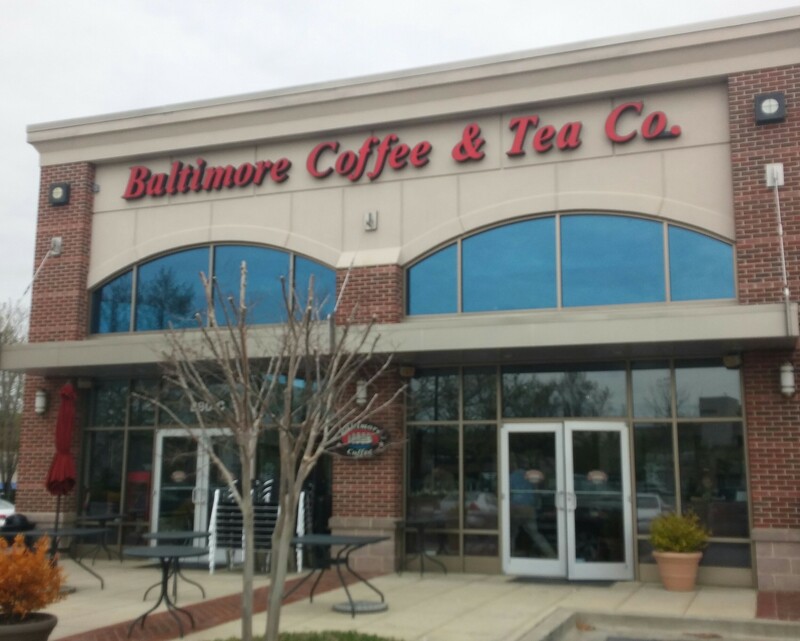 I knew there was a Baltimore Coffee & Tea Co. location in the area. But I wasn’t sure precisely where. And without looking, it just appears to me in all its beauty. Life is good like that sometimes. And I wasn’t even trying to find it. I walked in and had no idea what tea I wanted. 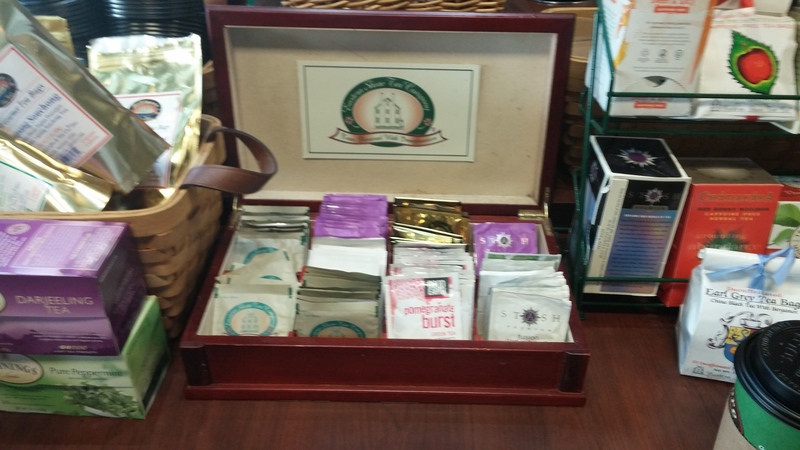 I just asked the friendly face at the counter, what were the teas to choose from, and she asked me to turn around. And what a beautiful display to choose from. She just handed me my cup of hot water and I was left to go on an adventure and discover. As you can see, there was a copious amount to choose from. 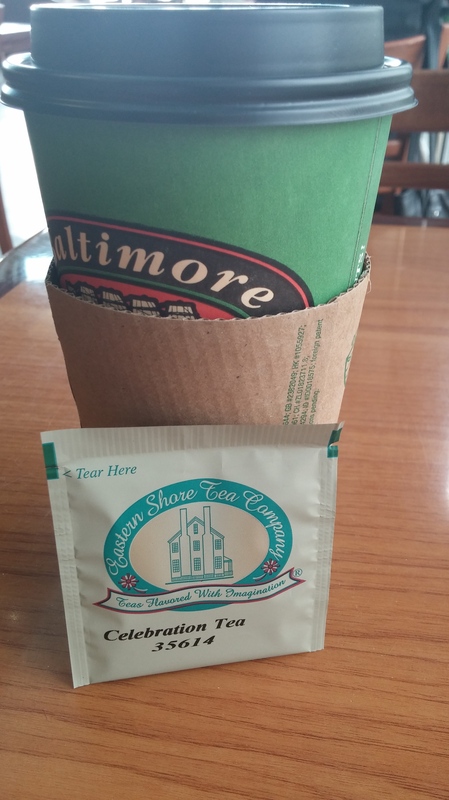 I wanted to stay local, so I saw the Eastern Shore Tea Co. stash, mixed in with everything else. Maybe I pulled a rabbit out of a hat, because I landed on the Celebration Tea. How fitting. There is much to celebrate being in the great state of Maryland. And there is much to be proud of being a part of the Baltimore and Annapolis areas. What really stands out is the powerful fruits. The trifecta of Passionfruit, Mango, and Starfruit really pack an amazing punch. It’s a melange of what celebration is all about. Throw in the Hibiscus and Roses, and everything about this screams joy, peace, love, happiness, and everything that’s right with the world. This can be served chill for outdoor parties and complement various snacks and meals. I enjoyed it boiling, but can’t wait to try it cold when the weather really shines through. If you would like to read a previous recap from this amazing company, click here. I could have stayed at this shoppe for a while. 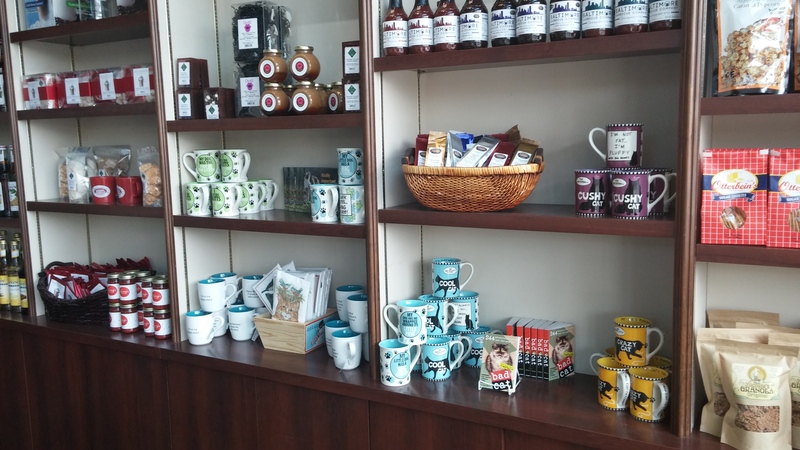 Not only do they have tea, but plenty of coffee, and some charming gifts. These pictures are only just the beginning. If I could try all these teas, I would. And in time, I will. The staff was incredibly friendly and that set the tone for the great energy inside the store. What else can you ask for? The sun may not have been shining today but its only April. We’re going to be blessed with many beautiful days. I’m excited for the Summer, but one day at a time. I will enjoy Spring, I will enjoy Maryland, and I will enjoy Baltimore. Earth Day is tomorrow. And I searched far and wide (5 minutes up the road at Wegmans) for a tea that would fit the mold of this special day. 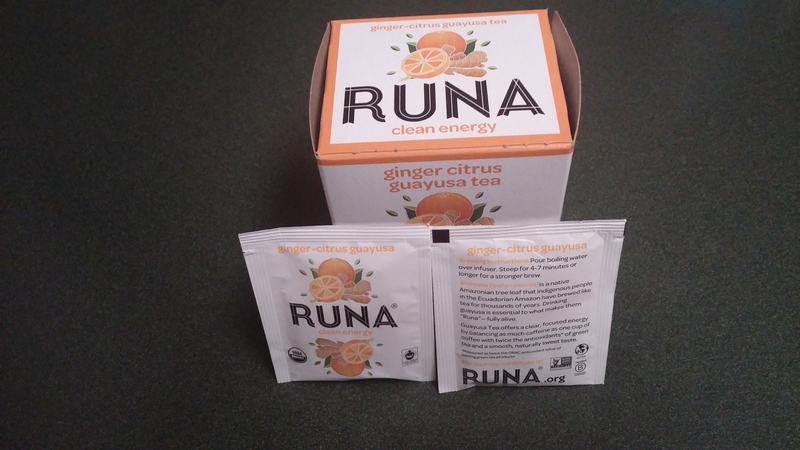 I had so many to choose from, but I settled on Runa, which is a tea I hadn’t heard of until today. I am so happy I did. A cup of this made my day. It felt so good that I had two. Now I feel I can type a novel. But I’ll keep this blog to its standard amount of words. First off, when I was canvasing the tea aisles for a package that would catch my eye, this one did it. I was looking for words and graphics that represent what this day is all about. It took me a few minutes, but the answer was in front of me the whole time. I saw a beautiful image of an orange. And I saw the term “clean energy’. And this led me to the Ginger Citrus Guayusa. This seemed just right. This box is incredible. I’m mesmerized. I took photos all over the place. I have posted them for your viewing pleasure! Now about the tea. It tastes good and it tastes easy. What I mean by that is it went down a lot smoother than many I’ve sipped over the years. 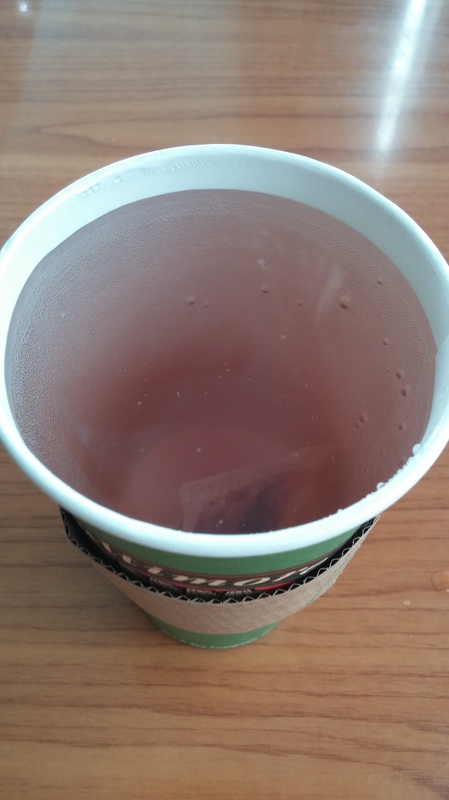 It didn’t feel as rigid on my tongue or in my throat. 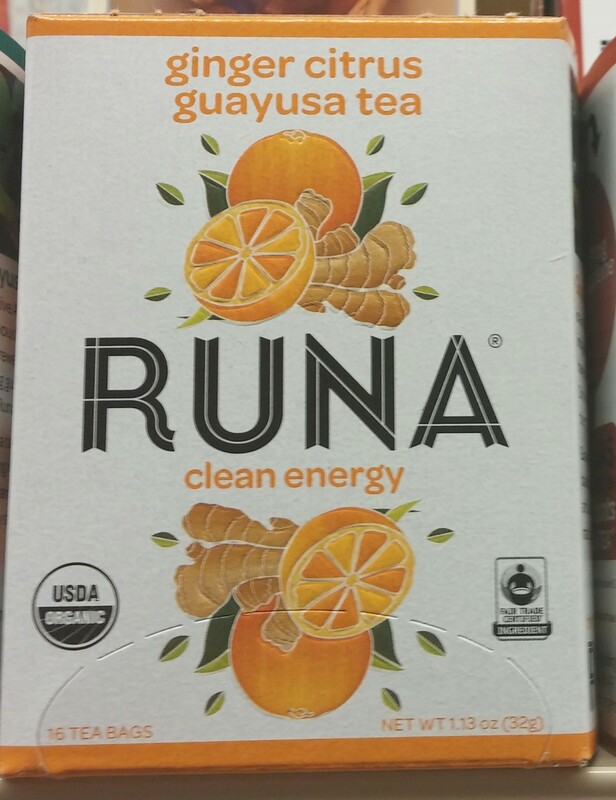 When looking this fact up I read that there are no tannins in Guayusa. 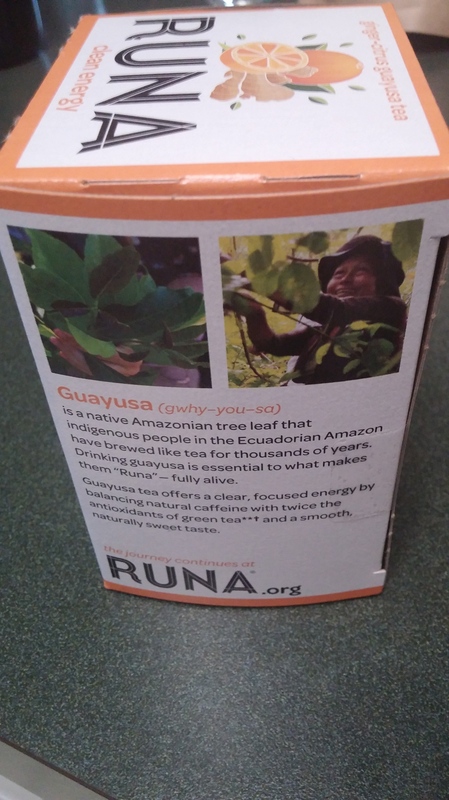 Now what is Guayusa? I hadn’t heard of it until today. In one of the aforementioned photos you can read a quick synopsis. I wish I had heard about this sooner or I’d be drinking it immediately. Now it’s a part of my life. 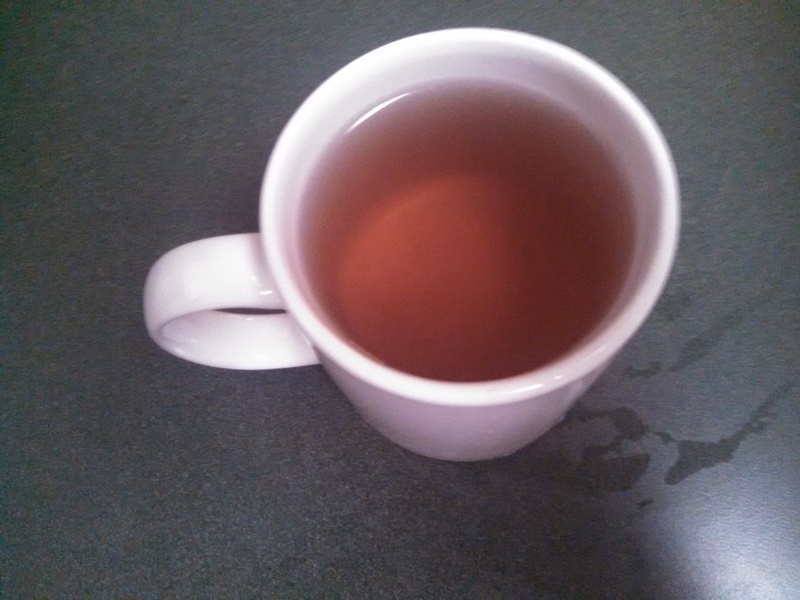 And I am grateful doing this blog has led me to this tea and to the Guayusa leaf. 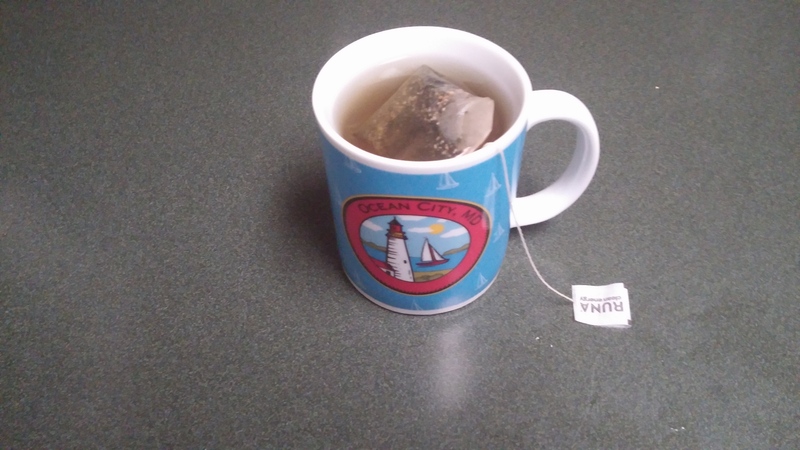 I switched up the mugs today and went with an outdoorsy theme, with a charming Ocean City, MD image. 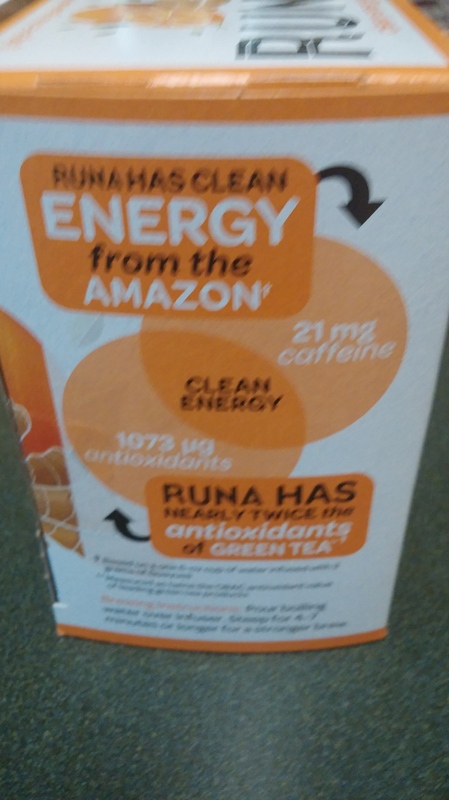 The natural caffeine and antioxidants have certainly brightened my day. And I am certain they would do the same for you. It’s so powerful that the usual taste of ginger is harder to detect than in other teas. But you know it’s there. And the orange peel is a perfect complement to this tea. As you can see the color really shines. And the bag looks spectacular. I will be sampling more of their products for the duration. Finally, in going through this website, the Earth Day theme is one that Runa represents the other 364 Days of the year. They’ve only been around since 2009 and are already accomplishing amazing things. This makes it that much more fulfilling that I discovered this great organization this week. I could read about them all day. And I will. It’s good to know I’m supporting something that leads to a big picture of helping and healing. This is what life is all about. We’re all a good energy, a clean energy, we’re source energy. With all the stresses in our lives, sometimes you just need a tea to bring you back to a harmonious and peaceful place. 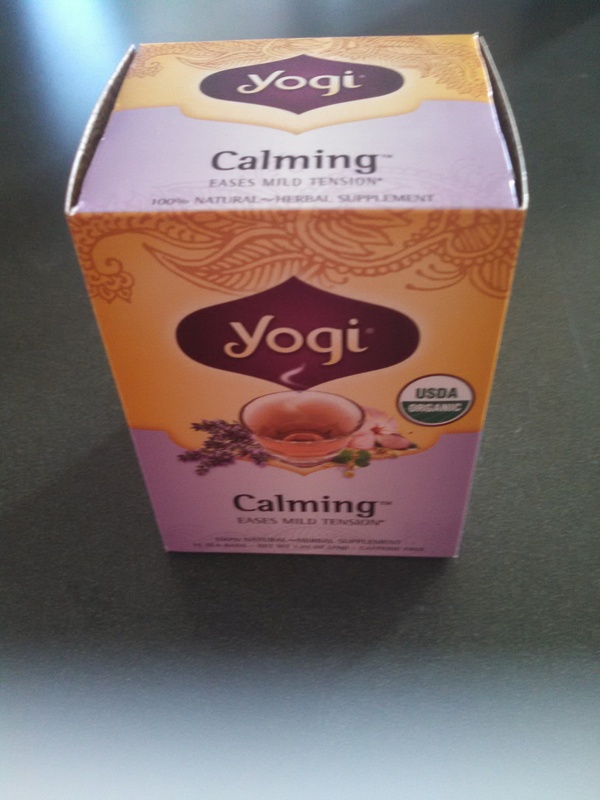 So I go with the aptly titled, Calming, from the wonderful Yogi Tea. I’ll admit, I haven’t been my usual relaxed self and after I had a cup, I started feeling inner peace and joy. It might be a placebo or it might be the natural ingredients. Nevertheless, I feel good and I am much more comfortable typing this out as opposed to a little while ago. I can feel the stress fading away. If I drank this all the time, would I always be this content? I’d like to think so. The flavors have been presented to you, and they all bring something to the table. 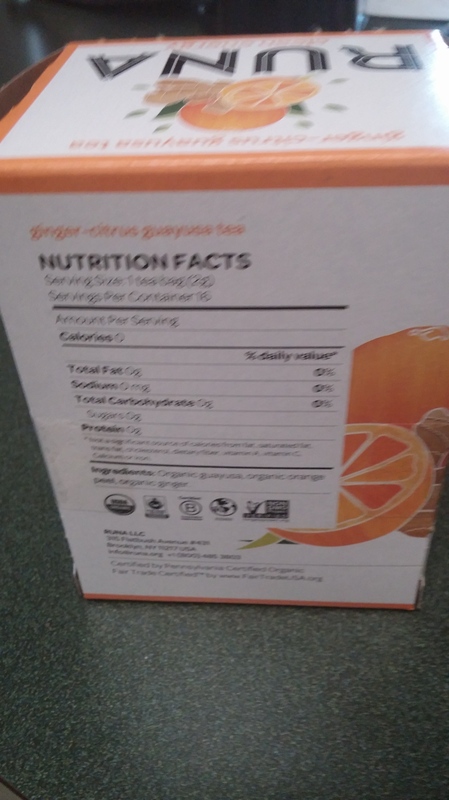 In reading the synopsis of this tea, I didn’t know Lemongrass and Gotu Kola (which I had not heard of until trying this tea) had such a powerful effect on our nervous system. The Licorice really gives it a flavor. And I’m not usually a fan of Licorice, in tea or candy form, but it works to perfection here. And the lavender feels so good on my tongue and taste buds. 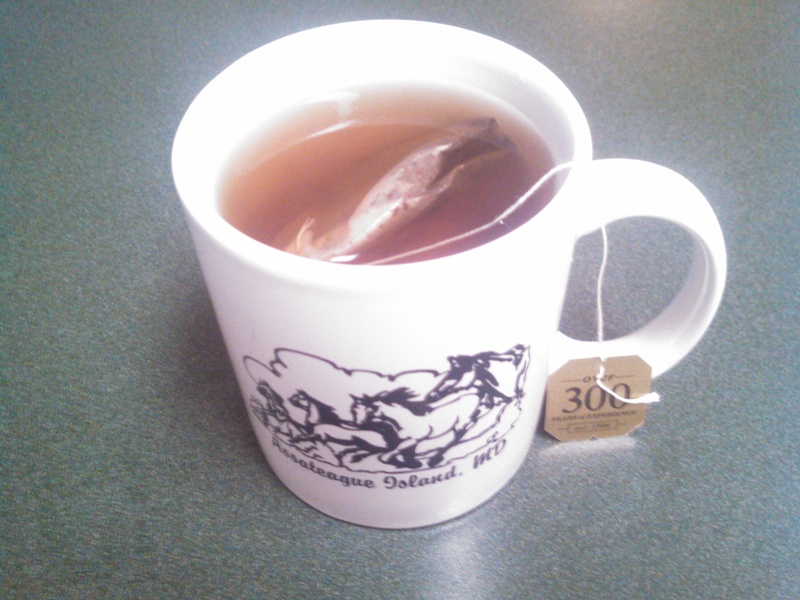 This is one of the higher tannin teas I’ve had in a while, and that comes as no surprise. 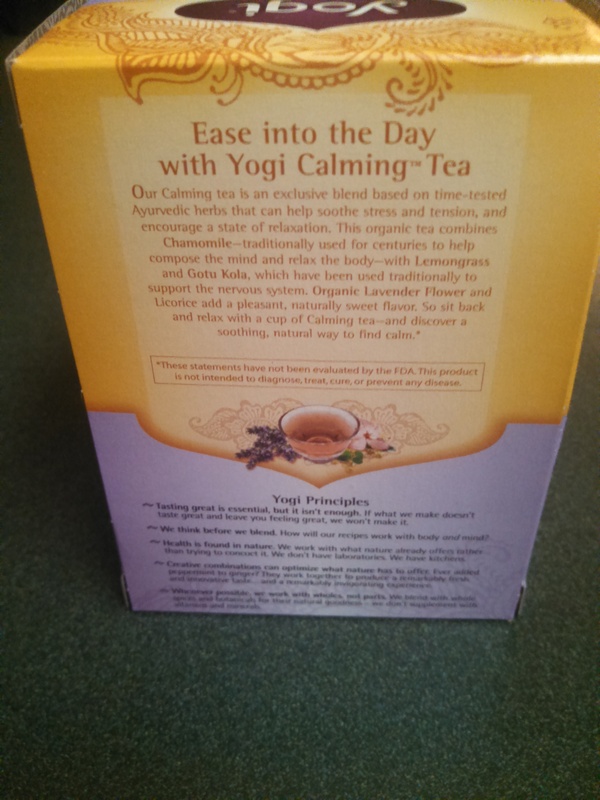 Yogi has some of the best and most popular teas in the world today. If you’d like to see a previous tea of theirs I reviewed, click here. 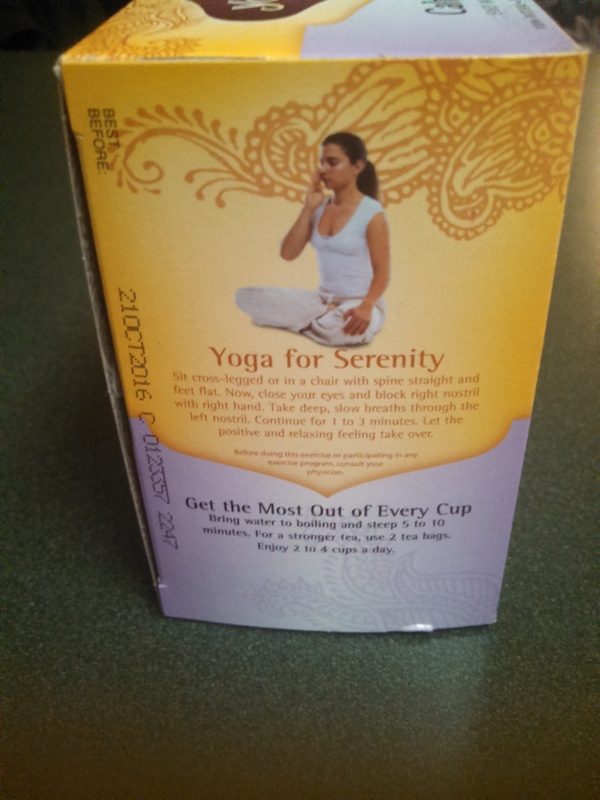 It’s more than the hot goodness that Yogi provides – it’s also the spiritual aspect displayed on each and every box. 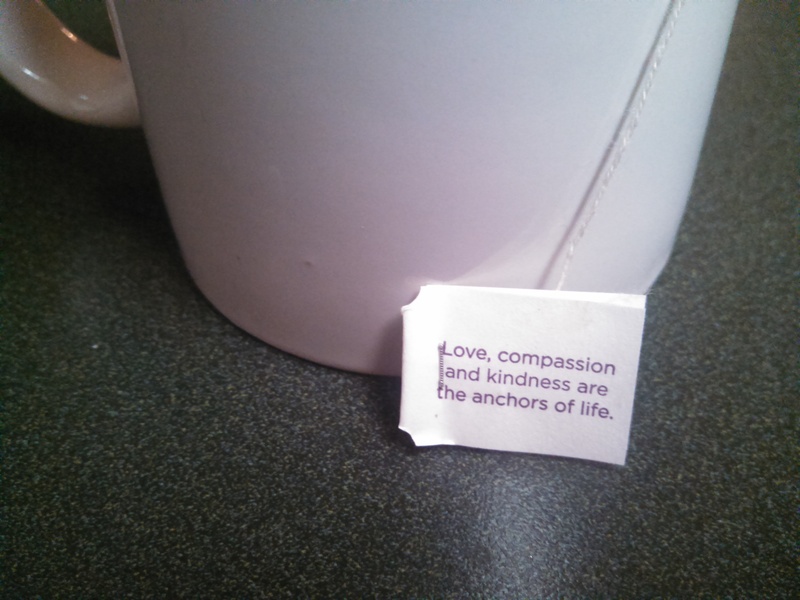 Most of the big tea companies don’t do this (nor do they have to) and this spiritual message is what sets Yogi apart. It just makes the tea drinking experience that much more meaningful. 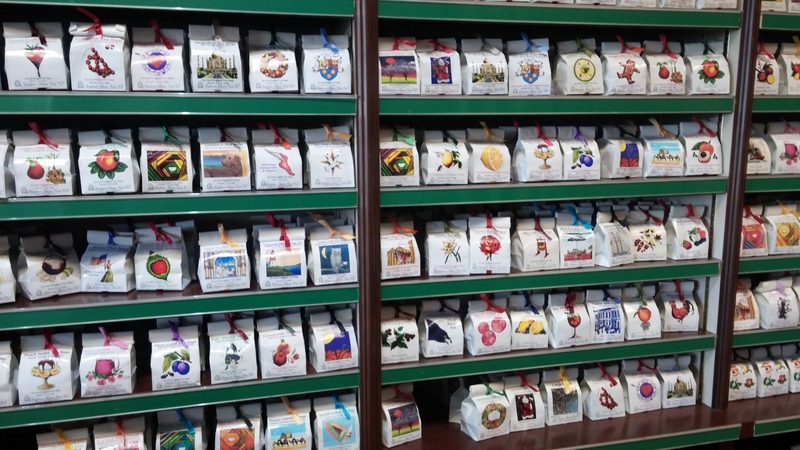 Each bag has a message of love, hope, compassion, and other superlatives that are all full of goodness and positivity. How can you not love this? In this moment, it makes me want to better myself as a person and bring love to everyone around me. These guys have done their job! And a masterful one of that to boot. What can’t be forgotten is how amazing this tea is. How beautiful are the leaves inside? I just had to get a close up. The finished product leaves an impressive color that is too beautiful for words. The pictures and my writing won’t do it justice. 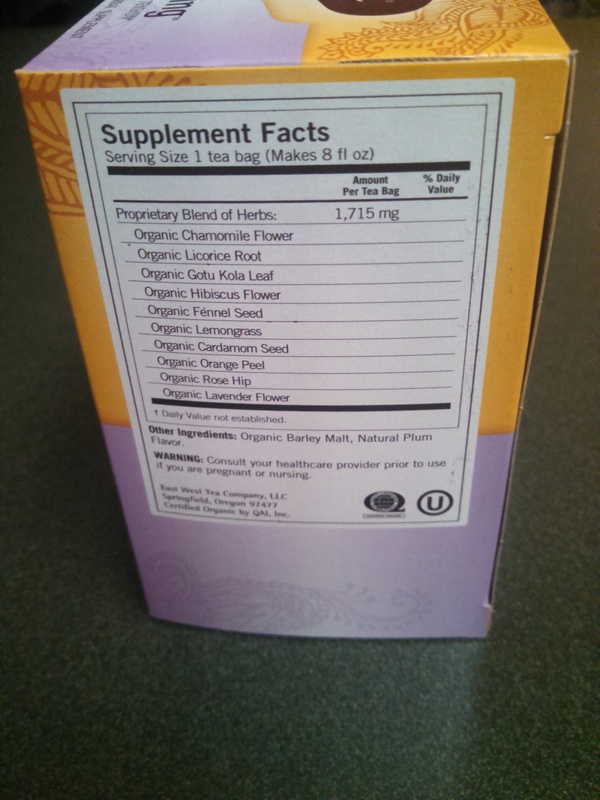 I strongly recommend this tea to anyone who wants to relax, feel good, or just drink something wonderful. I promise you that you won’t be disappointed. Drinking tea makes me happy. Sometimes it’s my mind that needs healing. Sometimes it’s my entire spirit. And a hot cup will do that. Ever since I can remember, my dad has had a big hand in educating and indoctrinating me on the joys of sipping. 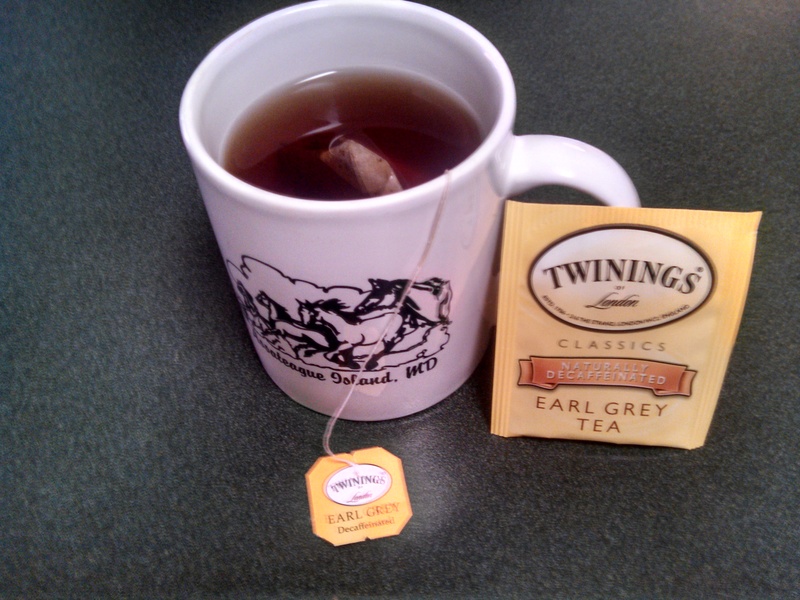 And one of the first teas he introduced me to was Twinings. 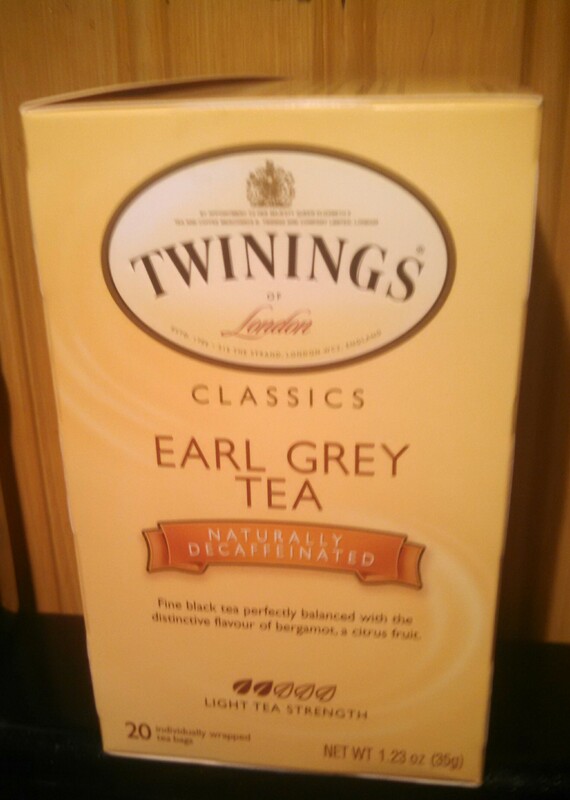 For this posting I sampled the Decaffeinated Earl Grey. And the flavors and aromas take me back to having a cup with my pop. 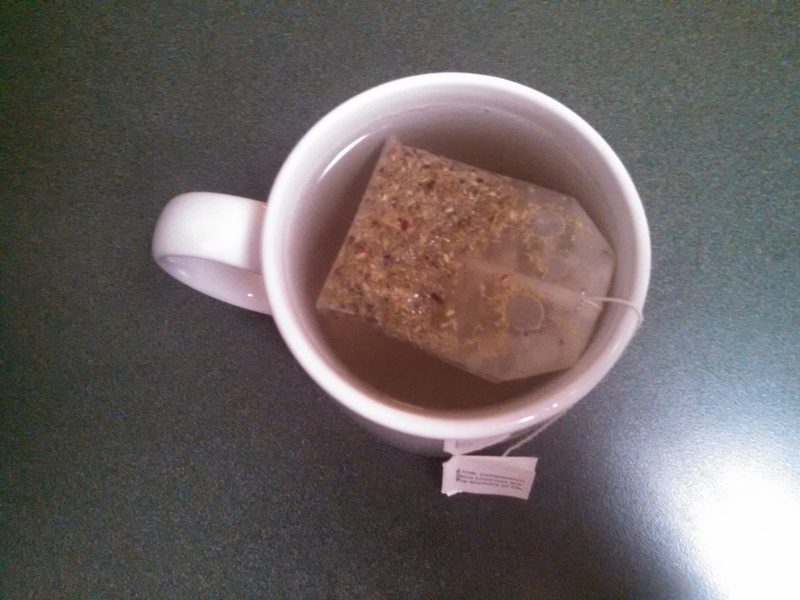 How could only two ingredients, decaf black tea and bergamot, taste so good? I think I just answered my own question. Sometimes two is all you need. It’s the simple things. Thankfully this is decaf. Because as of this writing, I’m three cups in and could drink this all night. It’s the right balance of sweet, and maybe the slightest hint of bitter. As soon as I dipped in the bag, the scents were intoxicating. And how about that beautiful color? With all the brands of teas popping up, it’s easy for one of the originators to get lost in the shuffle. 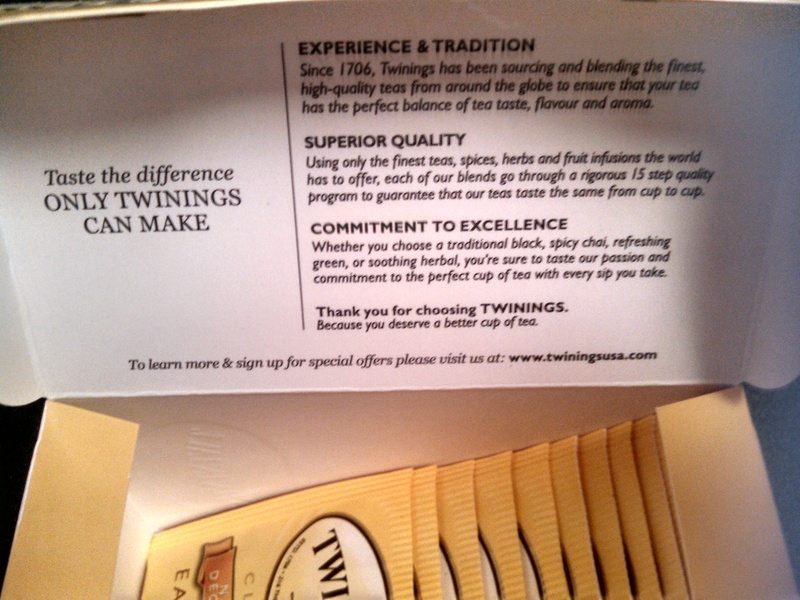 Luckily, Twinings has kept up with the times, with new packaging, innovative new teas, and affordable prices. There’s a reason they have been world renowned and respected for over 300 years. I get goose bumps thinking about that fact. This is only the beginning in posting about this legendary company. They have so many flavors I want to try and as the weather breaks, And with some of the most user friendly instructions on how to brew perfectly, it’ll encourage me to do just that. 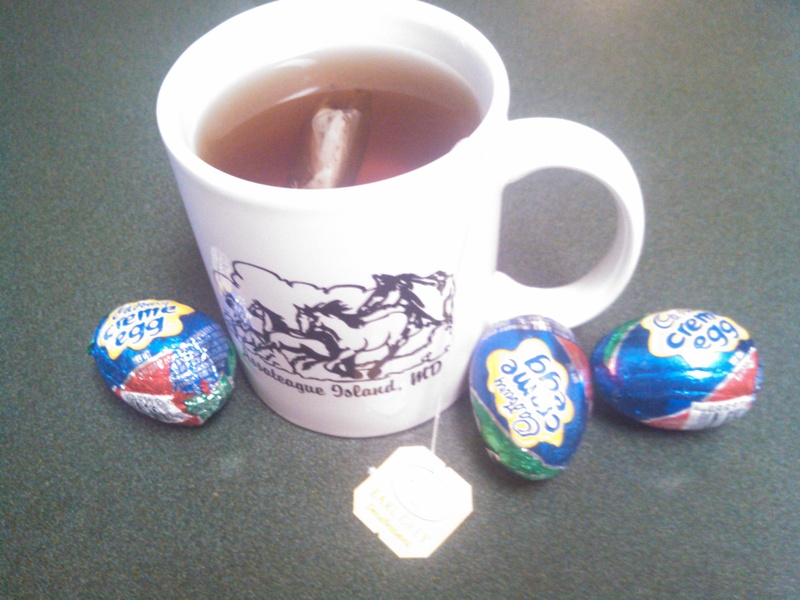 In the meantime, I am enjoying myself with a return of one of my favorite mugs from Assateague Island, and with some yummy Cadbury Eggs. This is the perfect post holiday treat! And I find this to be the perfect way to relax and settle my stomach after overdoing with unhealthy foods this past weekend. I hope you all had a tremendous holiday. Here’s to a happy and healthy warm weather season!